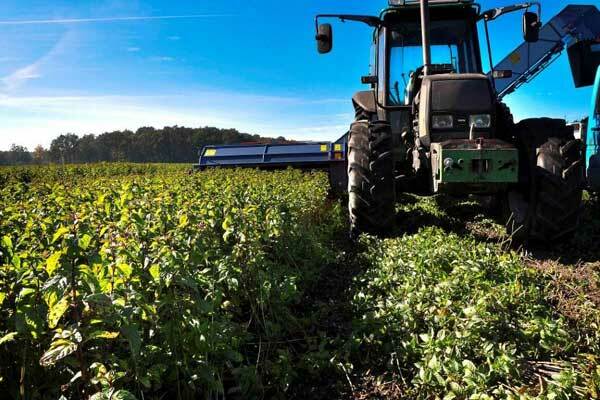 The machine NB 2006 E/P is a NEW generation of harvester-mower. It is a successor of Euro Prima model NB 2004 E/P. After many years our team has decided to remodel it by applying new solutions which are improving efficiency of the machine. On the other hand, the new model retained the best features of its predecessor. 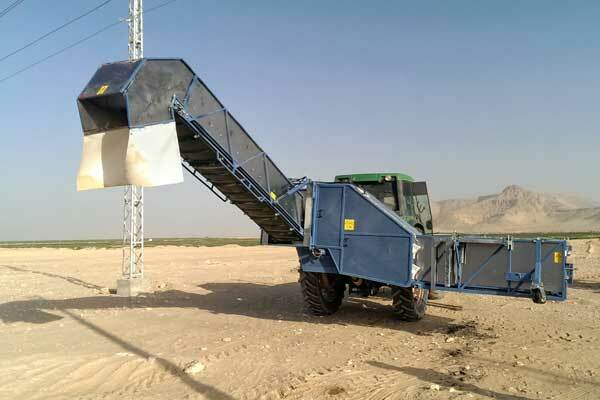 The machine has simple construction and is easy to operate. 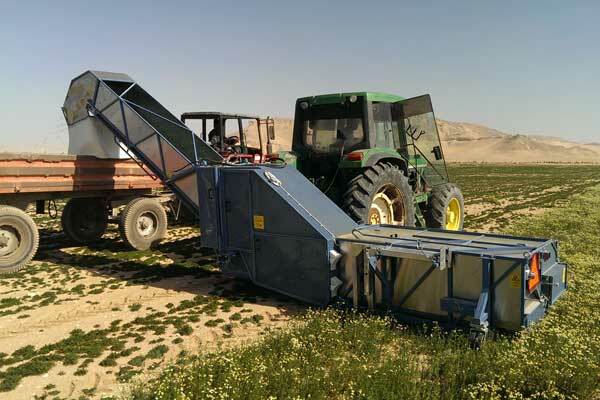 The machine can be ordered with different adapters which are easily changed depending on herb species you are harvesting. 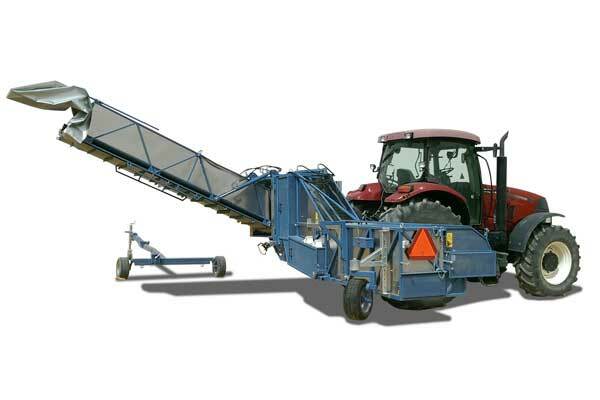 This makes the machine NB 2006 a universal, economical solution which you can use throughout the whole year for different cultivations, for harvesting , picking leaves or mowing different herb species. The machine can be used with many models of II category tractors. The fact that it is a not self-propelled machine, but carried by a tractor makes the price of this machine lower. 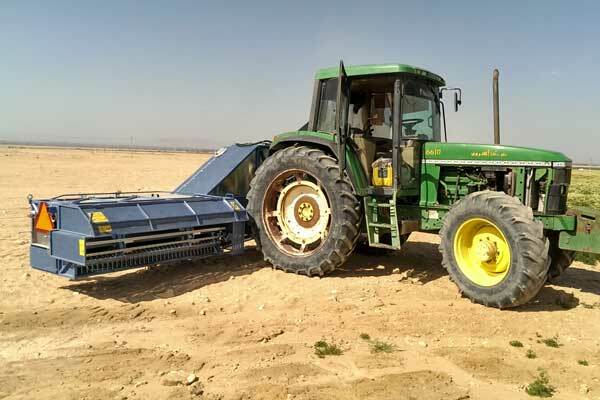 working mode E in which harvested material is going in a trailer pulled by the same tractor on which the machine is connected. 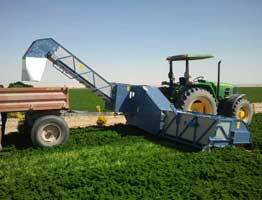 working mode P where harvested material is loaded in trailer that is pulled by another tractor which moves parallel with the tractor carrying the machine. Depending on the structure of fields and the concept of user's production the user can choose whether to use the machine in E or P mode. The standard machine is delivered with both options. 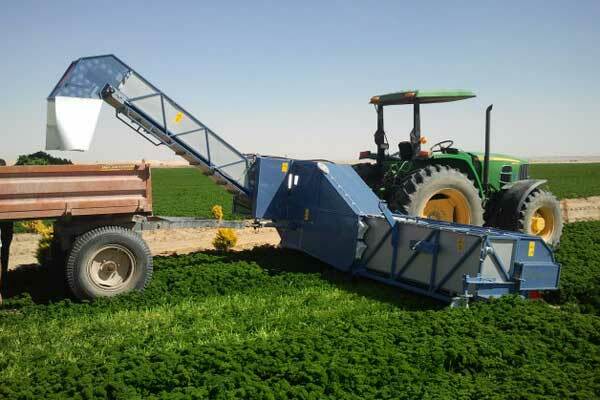 NB 2006 is equipped with belt conveyors, which transport the harvested-mowed material into the trailer. The machine in position for transportation on roads. It has its own signalization and it can be transported on public roads. 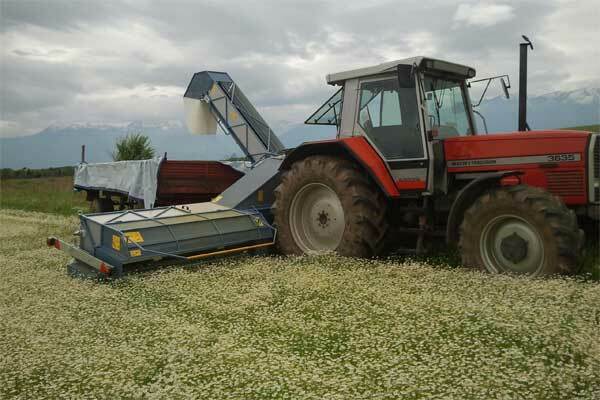 Adapter for harvesting is ideal for chamomile flowers.The adapter does not use the blades but special working element for picking the flowers without cutting them. 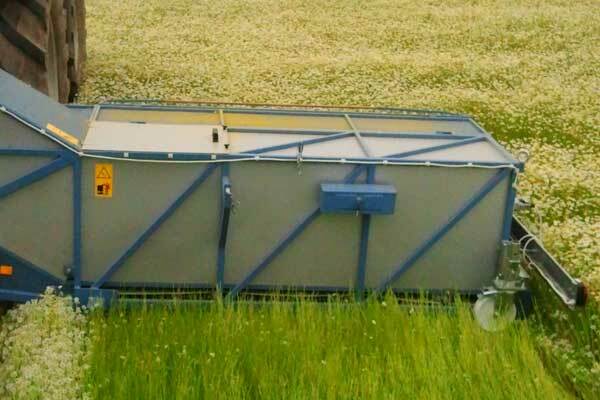 For calendula harvesting machine has to be put in the upper zone of plants (where the flowers are concentrated). Flowers which are placed aside, in the lower zone or the ones that stay outside the harvesting zone and will not be picked. 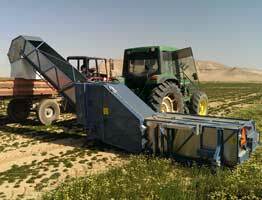 During the harvest, the machine picks flowers but also the leaves which are located in the flower zone. 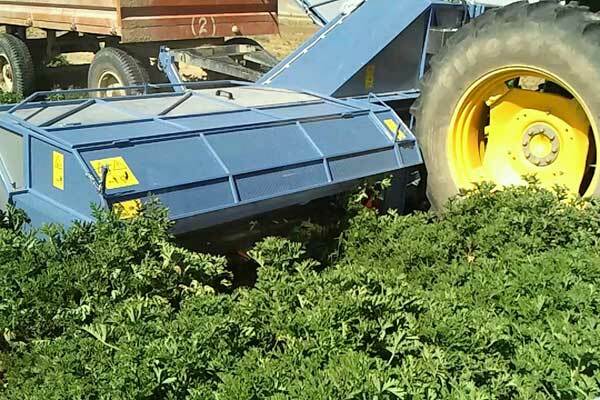 The new solution specially developed by Euro Prima enables the producers to pick only the leaves of some herb species that are suitable for this kind of picking. By harvesting only the leaves, the drying is faster. Time as well as the energy is saved. In addition, it makes later processing easier. 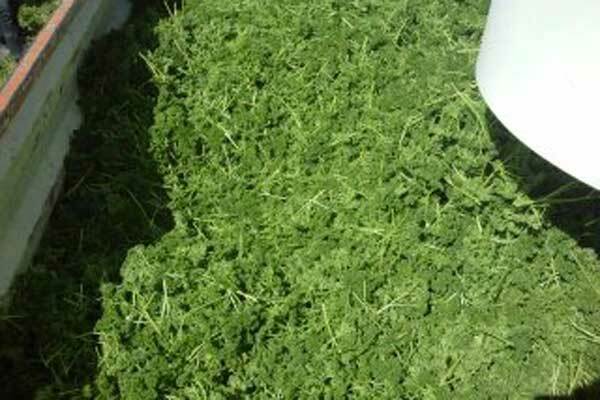 Adapter for mowing can be used for wide range of herb species, such as mint, lemon balm, oregano, basil, parsley, etc. It is possible to mow plants of different heights ranging from 15 cm to 70 cm. Mowing device performs double-cut and it makes clean cuts to the stem, therefore it does not crush it and allows it to regrow.